Secretary-General of the Palestine Front from 1967 to 2000 who was a prominent Palestinian Christian leader. He graduated first in his class from Medical School in Beirut. 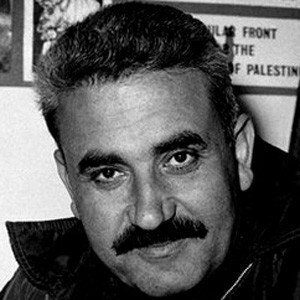 He founded the Popular Front for the Liberation of Palestine after suffering a huge loss during the Six-Day War in 1967. He and his family became refugees during the Israeli-Palestinian War in 1948. He accused Yasser Arafat of selling out the Palestinian revolution when the latter signed the Oslo Accords in 1993.